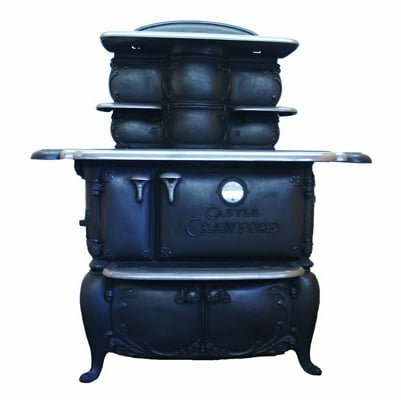 The traditional black cast iron finish of the Crawford Castle Cook Range makes the nickel trim stand out with luster. 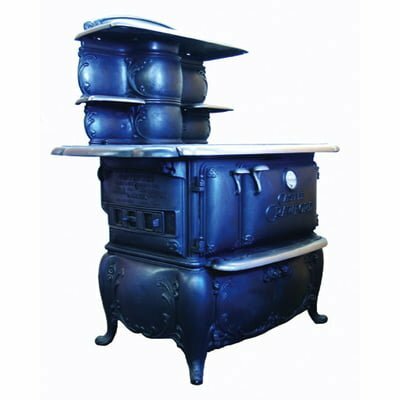 This is a top of the line antique wood/coal cooking/heating range. Touches of nickeling frame the hearths, shelves and stove top. 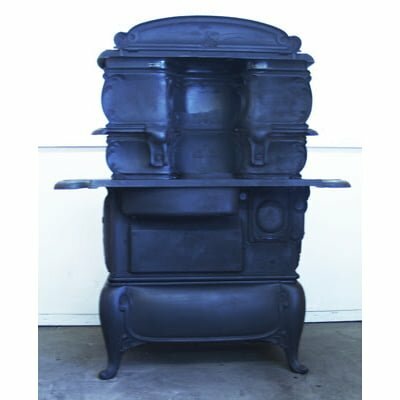 This vintage range features six burners, a broiler, and a large cast iron oven. Two shelves above the stove top provide a convenient home for frequently used utensils. Below the oven is a storage compartment that measures 18” deep x 23”W x 10”H. Hide pots and pans behind ornate cast iron doors. Heating the kitchen is a breeze with the good-sized wood box. 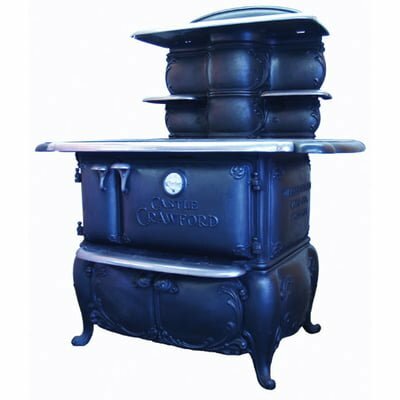 You will feel like royalty with the Crawford Castle Cook Stove in your kitchen.